Home / Business / CHAIN REACTION: So, who is responsible? CHAIN REACTION: So, who is responsible? The recent case in which a cyclist, Richard Hardy, successfully took action against Halfords following a ‘just riding along’ failure of a wheel (see BikeBiz.co.uk, May 30th 2008) has clearly touched a nerve with both cyclists and cycle dealers. Halfords is a corporate for whom the costs of defending and subsequently settling such an action are not likely to be a matter of survival. This is not the case, however, for many an independent cycle retailer. As one retailer asked for comment stated, the case may “open the floodgates” for similar claims, and we can be sure that many such claims will be against retailers without vast corporate resources to draw on. 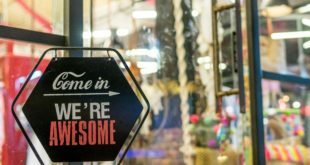 So what can retailers do? What can we as an industry do? The answer seems to lie in several different strands of activity, and those strands of activity will require in some cases the laissez faire attitude of our industry to change, and for some fairly fundamental truths to be pointed out at all levels of the trade. In an age obsessed with ‘rights’, the reverse of the coin, responsibility is often disregarded. At a very basic level, we are all responsible to our customers – we owe them a duty of care. So, when a corporate buyer, for instance, who need not actually be competent to assess the quality of a bicycle he is speccing from a factory in the Far East, is beating the supplier down on price, he or she needs to realise the implications of, say, cheap, nasty wheels, or plastic ‘V-style’ brakes, and saving a couple of cents on the tyres. In the same way, the retailer who puts cycles into the shop, forced to compete with the corporates, needs to be able to make similar judgements and to accept a similar level of responsibility, and his or her mechanic needs to be reminded every once in a while, that they are preparing a road-going vehicle with the capacity to maim or kill, as well as the capacity to bring pleasure, health and fitness. One way we can address these questions is training – existing schemes place some emphasis on Health and Safety law, but the emphasis is on how it affects issues such as duty of care to others in the workplace, rather than the duty of care that exists to the end user of a bicycle. Working in parallel with this, we need a body which can offer independent advice and perhaps training to all levels of the trade on the design and specification of all parts of the bicycle. There is at least one case of which we are aware where a manufacturer, in order to adapt a frame design from one wheel size (26 x 1 3/8) to another, larger size (700c) merely raised the rear brake bridge and fitted a fork with longer axle-to crown dimensions and greater rake to avoid foot-front wheel interference. This neglected the change in bottom bracket height, the adverse effects on steering geometry and the subsequent stability. This is not and should not be acceptable, and results from a poor understanding of cycle design and specification. 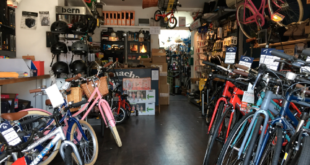 To tackle these problems, which will have an effect on any cycle retailer, big or small, will require a measure of co-operation between the IBD and the corporate sector. This co-operation may well mean that those offering training or consultancy services to ‘the corporates’ should not be shunned or criticised by the IBD sector for doing so – they are, potentially, in helping the corporate to avoid outcomes like the Hardy case, also thereby helping the independent. If promoting higher standards in the corporate sector, (where, like it or loathe it, an increasing number of people are likely to have their first experience of buying a bike), encourages the IBD to raise their game to maintain the differentiator of service between the two sectors, can we regard that overall lifting of standards as a bad thing? Many of the most responsible manufacturers and distributors have for some time offered training and assistance to those that sell their products, but much of this training has been oriented towards sales. Relatively little has been oriented towards the technical aspects of the product by those who should be in the best position to offer that advice, and on whom consequences of poor technical knowledge at the retail point might rebound. Where technical training has been offered, it has often been done in a fragmentary way, outside of an overall framework of standards and assessment such that no-one, from the courts downwards, has any real idea of the validity of that training. There are opportunities and ways to bring that training into a framework and these opportunities should be pursued. An independent company, able to offer expert opinion in technical and standards-driven fields, training and consultancy services with backing from some significant players in the industry, including the BA as the manufacturers’ and distributors’ representative body is in the process of being established now. It offers the opportunity for the industry to address some of the issues outlined here.